Tapestries can be creatively used to fit the needs and interests of the reader. Some may want to choose a specific topic, others may want to randomly select a page and still others may choose to start at the beginning and work their way through to the end. Quotations from a variety of authors, time periods and religious traditions are an important part of each reading. Gail Mesplay is a retired high school history teacher. She is spending the second half of her life writing, traveling, and working as a hospice volunteer. She is the author of A Moment of Peace and Quiet: Meditations for Teachers (Smyth & Helwys, 2002). She lives in the Rocky Mountains of Colorado with her husband, Ken. Tapestries shows us that when we open to what seems "ordinary" or "everyday", we awaken a deeper envolvement in life. We can experience ourselves and the world with freshness, vitality and gratitude. This book is an invitation to being fully alive." When I was younger I felt for certain that I knew the answers to all of the world’s big questions. Now, as I approach my golden years, I realize that my youthful arrogance has been replaced by frequent uncertainty. InTapestries: Devotions for the Second Half of Life, Gail Mesplay has provided a thoughtful companion for those of us who are journeying through the second part of our life. 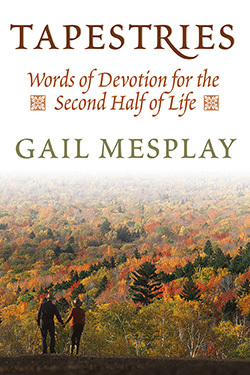 Using a weaving metaphor that incorporates a thoughtful collection of quotations, meditations and devotions, Gail offers us friendly assistance and affirmations as we attempt the adventures of our golden years. Our daily devotions and meditations would be greatly enhanced by spending a few moments in the thoughtful pages of this small but powerful book. Hallelujah! Learning knows no age limit! Each page of Tapestries contains ideas to enlarge our thoughts or exercise our creative bent. What fun to challenge ourselves with gentle reflections, specific questions, or by adding to our knowledge base. There is something for everyone in this book and especially for the life long learner. I loved it! 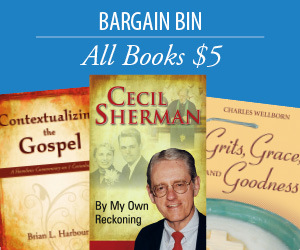 Being a collector of quotes, Gail Mesplay provides a delightful resource of beautiful words, fitly spoken, both in her broad selection of tried and proven wisdom from well-known sources, and in her insightful commentaries. Not only is her book a collection I will treasure and use, but I will give it to others as a gift of grace.